Stitch is truly a genre-stretching novel mashing up paranormal romance and dystopia science fiction to create a wholly original and intense indie sensation. … The book is a well orchestrated read that is thematically complex, as well as, intriguingly entertaining. Durante maintains steady control over world building and time jumping, while including various character perspectives. This takes tremendous skill and is a tedious process to prefect during early drafting. I admire the flow, transitions, past, present, reality and alternative reality maze. I have no idea how she pulled it off, but it was wonderful to read a work that demands so much attention from its creator. It truly is impressive. Many kudos! Head over to Bitsy Bling for the rest, and don’t forget to enter the giveaway while you’re there! Huge thanks to Charlie for taking the time to read and review Stitch!! Congrats to fellow indie author Alexandra Lanc on the release of her new novella Midnight! I’m very excited to bring you a stop on the Midnight Blog Hop – check it out below! Oh, and don’t miss the AWESOME giveaway towards the end of this post! 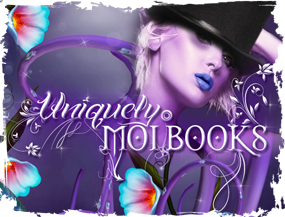 You can win the opportunity to NAME A CHARACTER in her next book and decide their fate! How cool is that?? Life has always seemed impossible for IxBryn Rowan, and it’s about to get even more complicated. IxBryn is a Knight Blood, an immortal human rendered by science to bring about harmony between the two races of Earth, the humans and the vampires — at least, that was the plan. A terrible tragedy occurred, and IxBryn is now the only surviving Knight, hunted for the potency of her blood, which will render any Immortal nearly unstoppable for a time. With nowhere left to turn, IxBryn makes her way to Variance, the most prestigious and important City on Earth, to stay with her cousin Bristol, the only person alive who truly understands her, and in turn stumbles upon a secret war breeding within the shadows — a struggle in which she soon becomes the prize. With danger at every turn, IxBryn may have to learn to rely on those who appear untrustworthy — even the labeled sociopath Zarrod Kingsbury, an Ancient vampire, and one of the Elite, who has interests of his own. Publisher’s Note: This novella series contains violence and suggestive material, and may not be suitable for all readers. Midnight was a fast-paced adventure in an imaginative setting filled with believable, life-like characters and lots of action to keep the story moving along. And at around 50,000 words, it’s a very satisfying length for a novella (really more of a short novel, whereas I tend to think of most novellas as just short stories). My initial impression was that the writing style actually reminded me a lot of H. P. Lovecraft – that interesting mix of formal tone with conversational commentary from the main character. The writing suited the setting well, as Midnight was set in a place that’s a curious mix of old and new (picture sailing on a wooden tall ship to a city gleaming with skyscrapers). The world-building was imaginative and unlike others I’ve seen, and I especially liked the descriptions of the singing/feeling emanated by the Knight Bloods that drives all the vampires crazy. IxBryn is a solid strong female lead – which is always a plus in my book – and the supporting characters were well-defined and believable. Zarrod, the male lead, was a complex dominant type that reminded me of Christian Grey or Edward Cullen, but in a less creepy way. The relationship and power dynamics between IxBryn and Zarrod actually reminded me strongly at times of 50 Shades or Twilight (both of which I thoroughly enjoyed, so that’s a compliment), but unlike the main characters in those books, IxBryn is a much more take-charge kind of girl – though the reality of her situation sometimes leaves her in need of help, which is where Zarrod and his impressive powers and high social station come in handy. Overall, Midnight was a fun and imaginative read, recommended to lovers of vampire tales and urban fantasy. Though be forewarned – the cliffhanger ending will leave you itching to know what comes next! Up for grabs: 2 e-book copies of Midnight AND – the coolest prize ever- the opportunity to name a character in her next book and decide that character’s fate! Alexandra Lanc is an American author who writes New Adult, Young Adult, and Adult in a variety of genres including fantasy, science-fiction, contemporary, poetry, horror, and more. Alexandra has been writing since she was small, and draws inspiration from her friends, dreams, and the world around her. Alexandra is a big supporter of fellow authors, and writing communities. She participates in and supports NaNoWriMo, and is a moderator for the New Adult Authors community on Google+. Alexandra is also an artist, and her artwork can be found on her book covers. I LOVE me a good twist. That moment when everything drops away and you suddenly see the world for how it *really* is – well, there’s nothing quite like it. Think back to the first time you saw The Sixth Sense, when you found out Bruce Willis was dead. Or Lost, when you found out everyone on the island was dead (or were they? I’m still not quite sure what happened!). Or the first season of American Horror Story, when they revealed that the daughter was dead. (Hmm, I’m starting to see a pattern here…) Your jaw drops, your stomach clenches, you can feel the blood pulsing through your temples. Your world has just been turned upside down… and it was awesome. I honestly can’t get enough of that feeling. Whether as a reader, a movie goer, or a TV viewer, a knock-your-socks off twist will always win me over. BUT, as with anything, there are some caveats – it’s all about the execution. Also, don’t miss the e-book giveaway while you’re there! Thanks so much to Jodie for hosting me and Stitch!! Check out The Witchy Contessa! I originally met Jessica during the 2012 Stitch Blog Tour, when she was over at her old site Crossroads Reviews. Since then, an unfortunate Blogger.com snafu has put her site out of commission, so she’s been blogging over at The Witchy Contessa (along with another one of my buddies from tour, Brooke from The Cover Contessa!) while waiting for Blogger to correct the error. If you haven’t been over to The Witchy Contessa, I definitely recommend you check it out – it’s a great book blog filled with thoughtful book reviews, exciting tour stops, giveaways galore, and of course, Shudder will be swinging by there soon once the big promotional push begins in a few weeks! Added bonus for you authors out there, Jessica also organizes blog tours, so if you need help (trust me, I know how time-consuming they are to coordinate! ), you should totally get in touch. Swing by the Contessa at the Crossroads Facebook Page to keep up all with all the goings on at The Witchy Contessa, The Cover Contessa, and Crossroads Reviews (once that one is back up, that is!) – and hey, while you’re there, why not give ’em a Like? Talk about an incredibly wild journey. If you like things like Dystopian society’s, late teen/early 20s drama, a bit of love, and perhaps even Doctor Who…you’ll love this book. In essence, the book does start like something that’s completely normal. You’d never guess at first that it was about anything more than ghosts and going to college after losing parents. Where it takes a twist though? That all of that, is a lie. 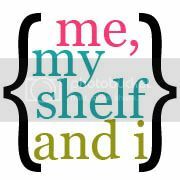 Swing by Me, My Shelf & I for the rest! Thanks so much to Rosmelie for taking the time to read and review Stitch! Update on the Shudder-o-Meter: it reached 71%! That’s almost 3/4’s done! We’re about to get into some of the biggest reveals of the story, so I’m really excited to finish up!! My goal is to complete the first draft by the end of the month, but I’ll be honest – I’m not sure if I’m going to make that goal, especially with Easter going on the last Sunday of the month (Sundays are usually big writing days for me). But I’ll do my best! Worst case, the draft should be done by the end of the first weekend in April. Almost there!!! Thanks so much to author Alexandra Lanc for tagging me in her post for The Next Big Thing Blog Hop. If you haven’t heard of it before, The Next Big Thing Blog Hop is a way to help readers discover new authors by us new authors tagging each other in posts that move along to a new blog every few weeks! Below are some questions about me and what I’m working on now. Alexandra answered these same questions in her post on the 5th, and in two weeks, author Ellen Stokes will answer the same questions on her blog, ellenstokeswrites.com! So without further ado, here is my Next Big Thing! 1. What is the title of your novel? The Stitch trilogy started as my attempt to come up with a really out-of-the-box way to provide a happy ending for a love story between a college girl and ghost. By the end of the first book, Stitch, you’re thrust into a dystopian world where you realize the girl is not a student, the ghost is not a ghost, and nothing is quite what it first seemed. Shudder is a continuation of that plot and picks up right where the first book left off. 3. What is the genre of the novel? Ask any reviewer, and they will tell you that the Stitch trilogy is hard to classify! For Shudder in particular, it’s mostly dystopian, with romance and adventure and a little bit of paranormal, horror, and contemporary sprinkled on top. 4. Which actors would you choose for the movie? 5. Is the novel self-published, or traditionally published? Self-published! I love having full control over my work, and especially being able to publish it as soon as I’m ready to get it to readers more quickly. 6. What other novels would you compare yours to in this genre? I always tell people the Stitch trilogy is along the lines of The Hunger Games and Twilight, so if you enjoyed those two, you’ll probably also like Stitch. A few reviewers have also drawn comparisons between Stitch and Denise Grover Swank’s Here (On the Otherside), along with The Hunger Games, both of which I thoroughly enjoyed, so that’s quite a compliment to my ears! 7. Who or what inspired you to write this novel? My mom was always my biggest cheerleader when it came to my writing, and she pushed me to write professionally from the time I was a kid. Needless to say, I ignored her advice for well on 25 years, but when I finally listened and started doing freelance writing full time, it was clear she’d been right all along. :-) And then a couple years later, I decided I wanted to try writing a novel, since I love to read – and when I thought of an idea that I was DYING to see done as a reader, I knew I’d found my book! The thing that’s been most amazing about Stitch is that not a single reviewer thus far has been able to guess the twist. They’ve all said it took them totally by surprise, which is something I love to experience as a reader, and don’t get to experience often enough in my opinion. And anyone who enjoyed Stitch I think will love Shudder, because it’s all the good parts from Stitch but faster-paced and more exciting, with more romance and more tension – and more Isaac! And that’s it! If you’re looking for new authors, follow the tags in each post on The Next Big Thing Blog Hop! Thanks again to Alexandra Lanc for tagging me! You can check her out on her blog here: wordsoftheworlds.blogspot.com. And be sure to keep an eye out for Ellen’s post on the 27th at ellenstokeswrites.com!